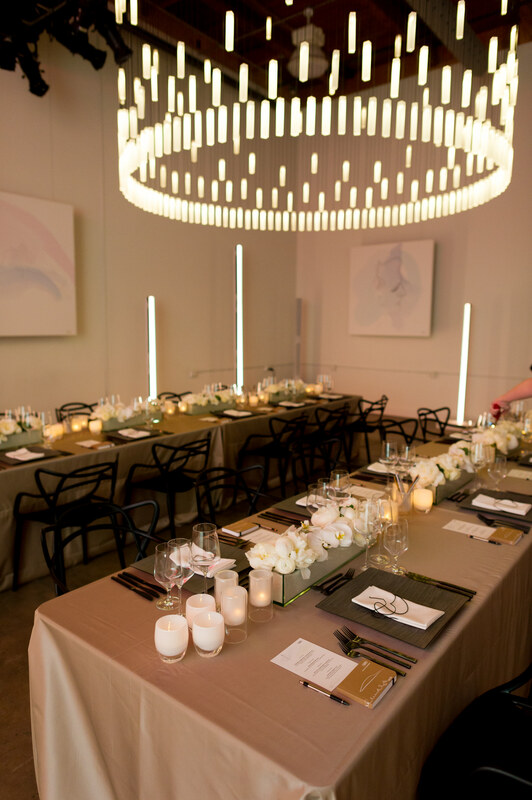 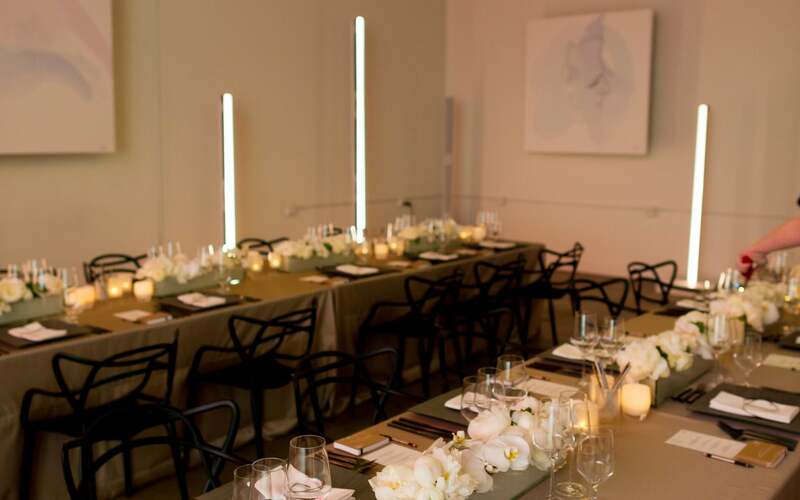 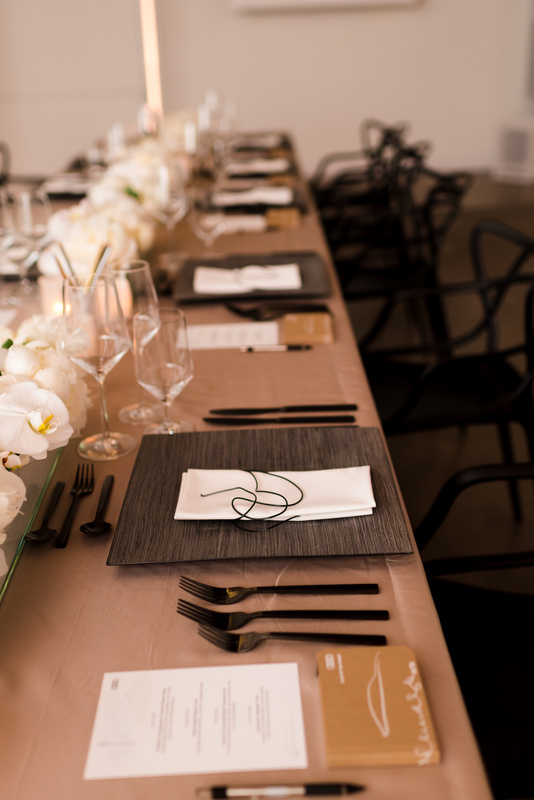 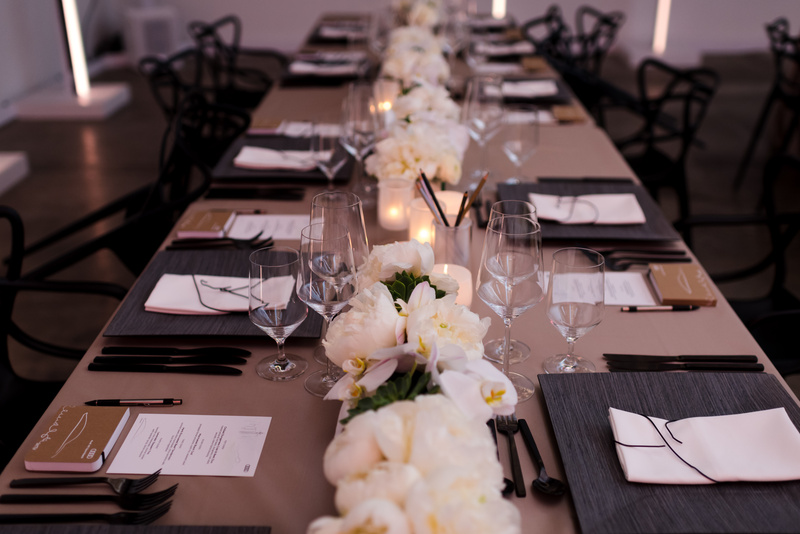 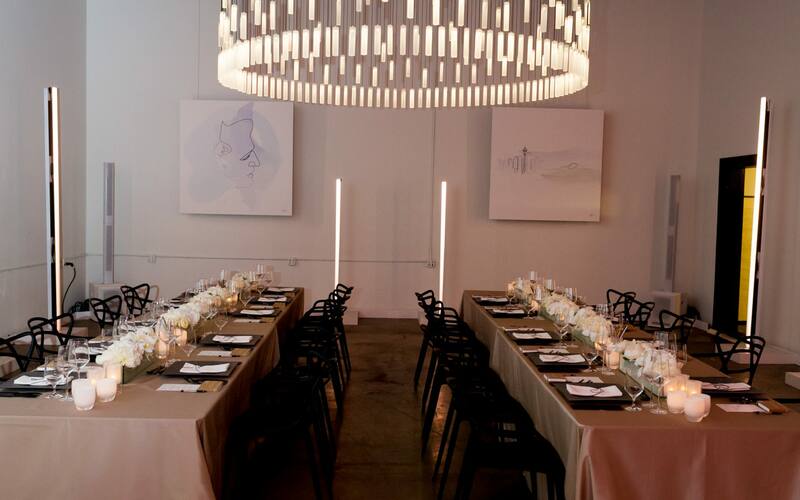 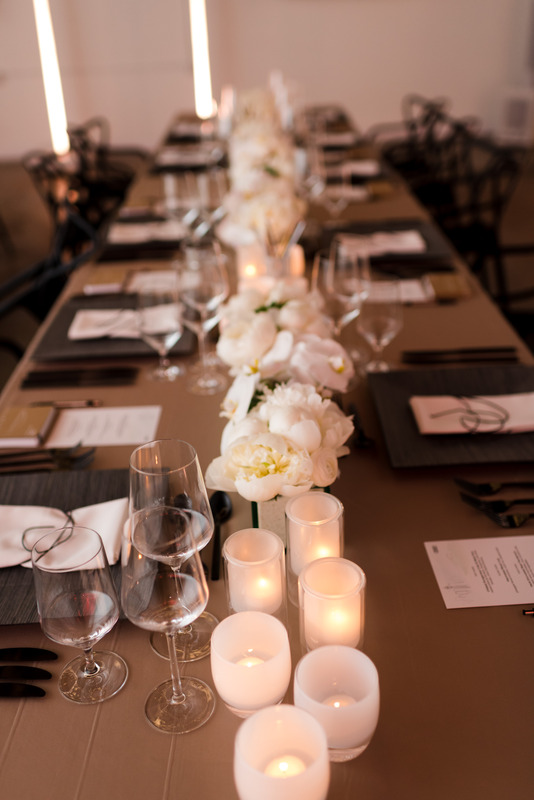 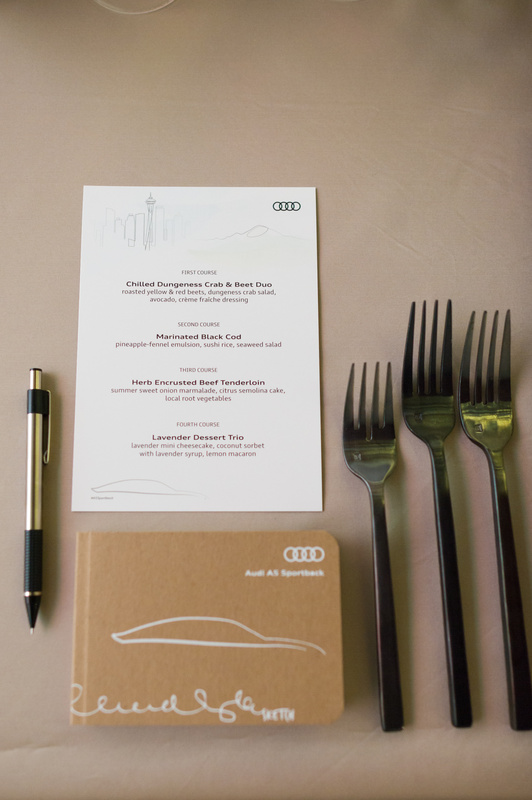 We had the distinct pleasure of designing two dinner party events for national media to celebrate the launch of the beautiful new Audi A5 Sportback. 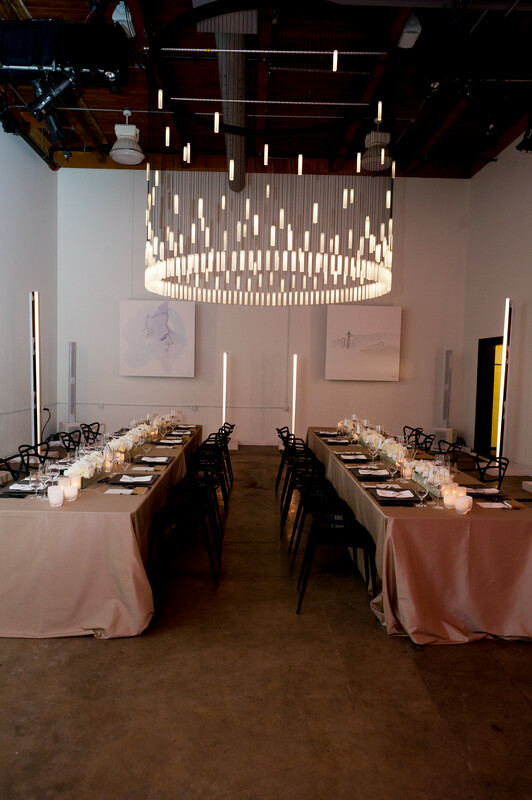 We turned an empty warehouse into a warm and intimate gathering for a delicious meal and an educational discussion talking about this fantastic new model. 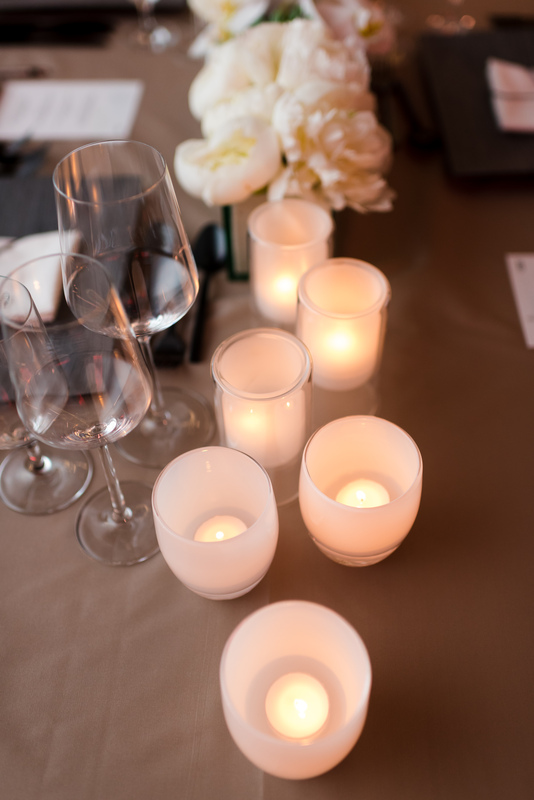 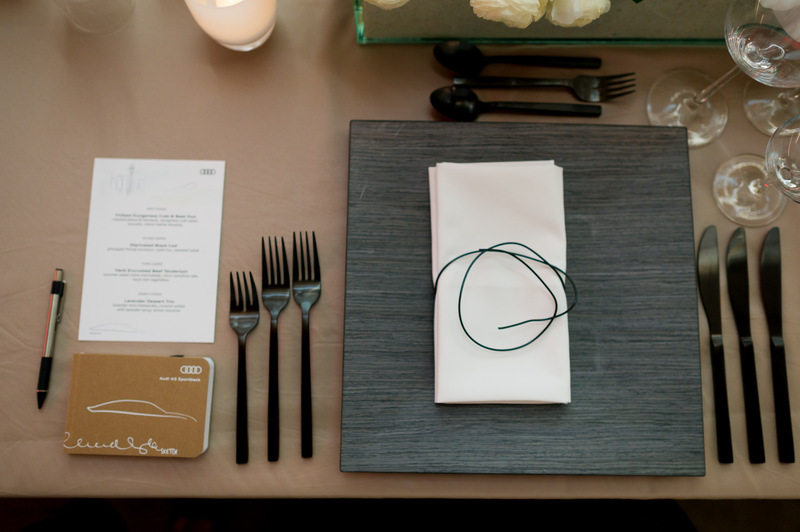 One of favorite touches was incorporating black lines through our designs – with the unique artsy chairs to the wire-bent napkin “bands” we created, each detail nodded to the custom artwork by French artist Quibe, who celebrated Audi and Seattle through stunning larger-than-life pieces.